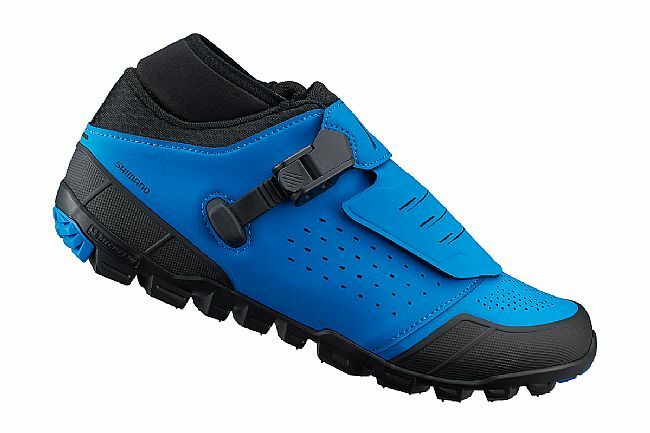 Coming alongside the new-and-improved XTR M9100 components, Race, and Trail pedals, Shimano also saw to it that their premium enduro-focused shoe got an update as well. 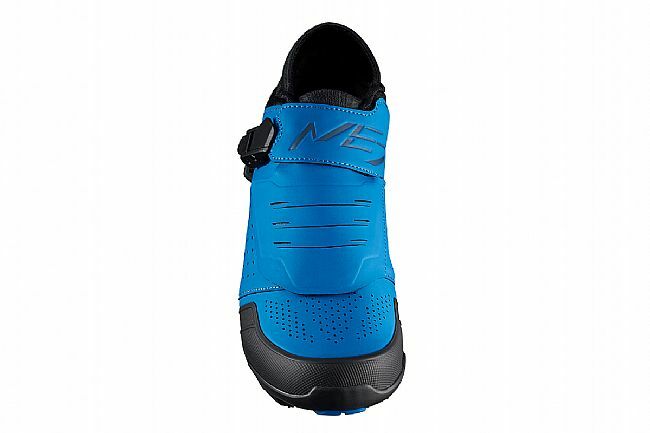 The Shimano ME701 shoe brings many of the original ME7's features, but adds fine touches and refined details for an improved fit with added durability. With an updated microfiber leather upper, the new ME701 features strategically placed and spaced perforations that allow for improved breathability and fit, even replacing the mesh vents of the previous model. The pull-over closure gets an updated buckle, with lacing under the closure for an adjustable, secure fit. The toe and heel of the shoe receive reworked rubberized construction for superior protection and durability from encounters with rocks, mud, or trees. 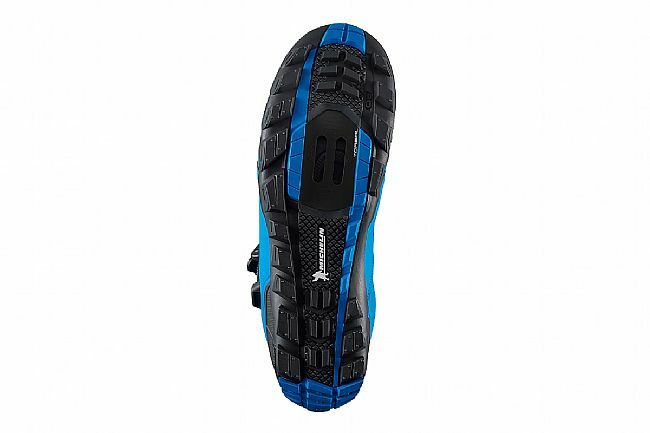 Finally, a sealed cleat area keeps mud or moisture from getting inside the shoe. 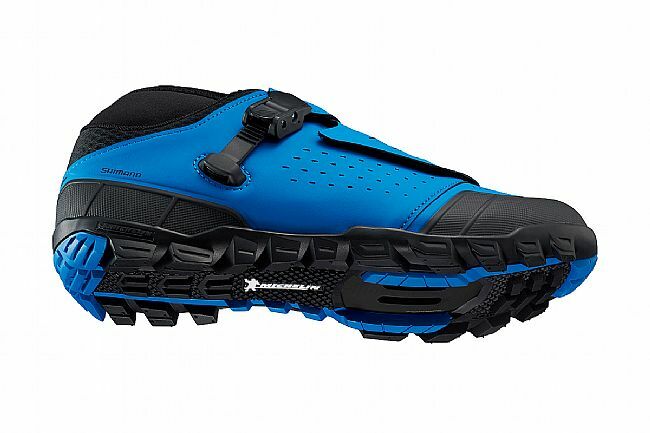 The Shimano ME701 MTB Shoe is compatible with 2-bolt mountain cleats and intended for trail / enduro riding. 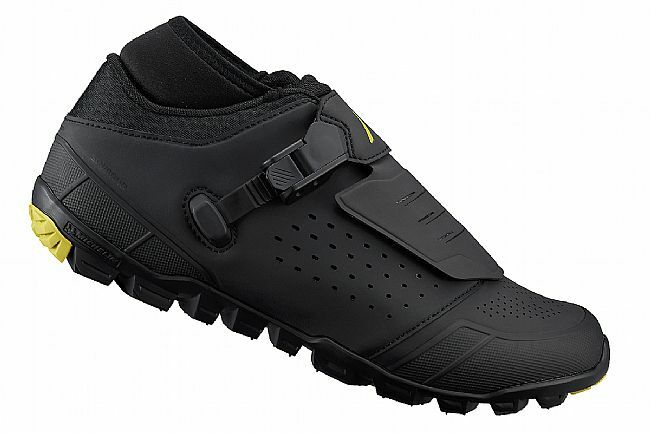 Lightweight pedaling efficiency plus the durability and grip aggressive trail riders require. Reinforced armor provides great protection and excellent durability. 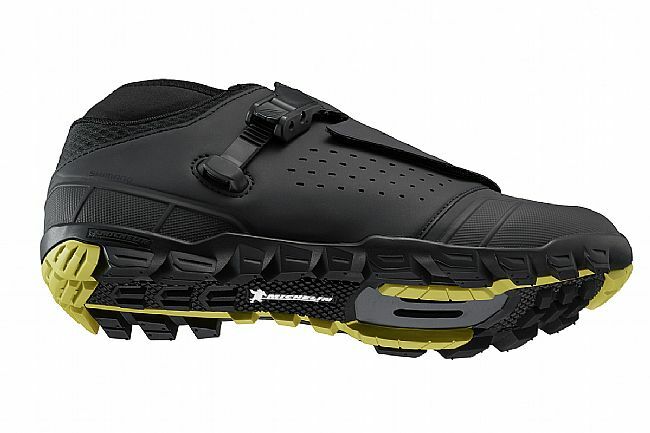 Stretch Neoprene ankle collar for additional protection from debris. Michelin® high-performance, dual-density rubber outsole. Wider cleat adjustment range for cleat mounting. 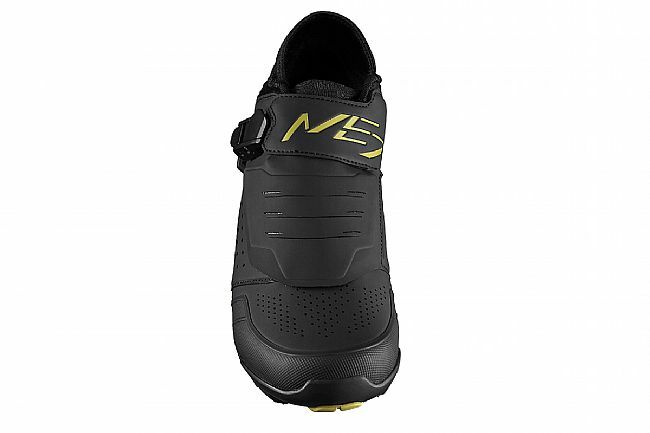 Torbal torsional midsole allows natural rider flow motion during downhill descents.